ZERO K – Don DeLillo (2016) | Weighing a pig doesn't fatten it. When I learned that the author of White Noise – a staple of postmodernism – had written a science fiction novel, I was delighted. I thought White Noise was funny and profoundly human, a rare five star book really, so what would he do with a book on cryogenics? Most reviewers agreed that this new book was DeLillo’s best since Underworld – his big American masterwork – so that only made me more eager. Calling Zero K science fiction is a bit of a stretch: companies that offer to freeze your body in the hope of future medical advances do exist, and have for quite some time. There is an amount of scientific speculation in Zero K, but do not expect the technology or the science to be the focus. Not that this matters much – SF readers with an open mind will find much to savor here. The book’s structure is set up to lure the regular SF reader in: the bulk of the world building – so to say – happens in the first half of the book. We are introduced to The Convergence, a remote and secret compound where wealthy people choose to be frozen. The subdued sense of wonder is real, and the scenes, like the compound’s structures itself, are strange, detached, and at times even reminded me of Kafka. When it slowly turns out this book is not really a science fiction novel, but something entirely of its own, I couldn’t care less about its classification, and was entirely hooked. A few chapters in I was more curious about DeLillo himself, and I read up on him before I continued. 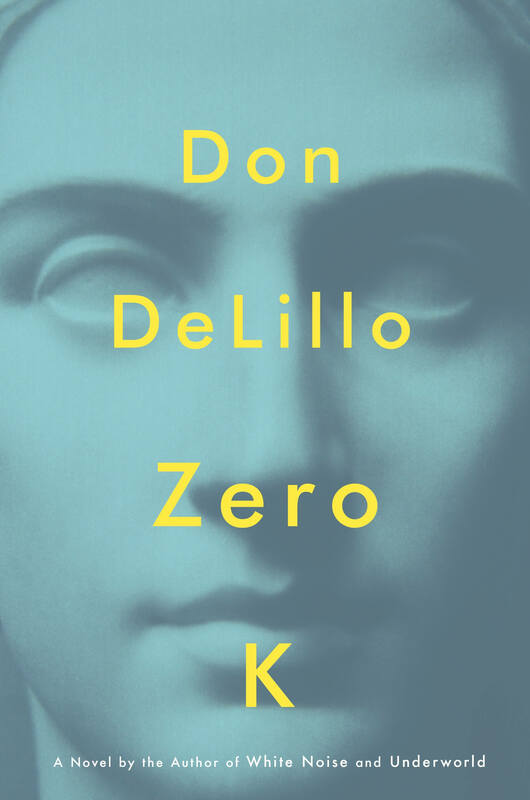 It entirely changed the way I framed the book: DeLillo was 79 years old when Zero K was published. Knowing an author is 79 instead of 49 or 28 obviously is a big deal. It somehow deepens the text, as we associate old age with wisdom and experience. I don’t want to claim old writers are necessarily good writers: there are plenty of authors that aren’t able to rise above the level of their debut. It’s just that in the case of DeLillo I couldn’t help but think of John Ashbery, one of America’s most celebrated poets, who died at age 90 in 2017. I suddenly started to see the parallels with Ashbery’s work in Zero K.
It reminded me of a young John Ashbery who decided he had to return to America after he lived in Paris for ten years, missing the living, breathing contact with the language he wrote poetry in. Especially the second half of the novel could be approached as an Ashbery poem. Ashbery – also dubbed a postmodernist by the way – often writes poetry using snippet after snippet, collating fragments that aren’t necessarily related. Ashbery’s smallest unit is about one line, whereas DeLillo uses paragraphs as building blocks. In the second last chapter – that uses short paragraphs, of about 5 lines – it becomes crystal clear they were stanzas all along. I don’t want to give the impression this book is an empty collage of meaning, devoid of narrative. Emma Brockes uses the image of lasagna in The Guardian: “his recreation of those mad exchanges, layered like lasagna, empty of content, between people who have known each other all their lives.” The sum of all that gets you to what DeLillo aspires, in his own words: “only to understand the hidden triggers of experience, the little delves and swerves that make a state of being”. The protagonists in Zero K all try to get a grip on their existence in different ways: the market strategist billionaire father who took on a new name in a more than symbolic effort to create himself; Jeffrey Lockhart, his son and first person narrator, who fantasizes about apt, fictional names for everybody he encounters in an attempt to control the narrative of his own life; his lover Emma who adopts a child to gain control over her biological failure to procreate; and most obviously Artis, the stepmother of Jeffrey, who chooses to control her death cryogenically. Imagination and language are tools in most of that, and The Convergence even tries to invent a new language to be able to rise above human society’s apocalyptic demise. But all these attempts don’t really cut it, do they? In the street, on a bus, within the touchscreen storm, I could see myself moving automatically into middle age, an involuntary man, guided by the actions of his nervous system. Jeffrey quotes Heidegger once, to a kid, about the difference between ‘being’ and ‘existing’ – man alone exists, rocks are, but do not exist. At the same time, the book’s humans seem not that different from rocks. The restaurant was emptying out and I liked watching them, all these people striding decisively back to their situations, their endeavors. They had to return to office suits and conference rooms (…). DeLillo uses different voices to express himself in this book. Jeffrey and his struggle with language seems at least partly an autobiographical character. Isn’t that why I was here, to subvert the dance of transcendence with my tricks and games? The Stenmark twins – ideologues and designing marketeers of The Convergence – seem to voice real concerns about society and our current violent times, “the patchwork sweep of a world war, unnamed as such”. I made about 4 times as many notes as I usually do for a book this size. While Zero K is only 274 pages long, it is packed with great, great lines and brilliant, at times baffling scenes. Some have written the book is more quotable than overall enjoyable. I can understand that sentiment, but I don’t agree. DeLillo manages to evoke something tender and fierce. He is poking fun at those who claim to understand it all, and gently writes about “the thinness of contemporary life.” It’s humbling and human, and surprisingly rich and varied for a novel with such narrow focus. I had a ton of quotes lined up, but will just provide you with one more sample. This book deserves to be read in full. It deserves a reread too, as I have the feeling DeLillo put in a lot more effort and construction than a first reading can unveil. Maybe my review of the reread – give me a few years – might be able to tackle the elephant in the room: death, and DeLillo writing specifically this book at 79. This was their aesthetic of seclusion and concealment, all the elements that I found so eerie and disembodying. The empty halls, the color patterns, the office doors that did or did not open into an office. The mazelike moments, time suspended, content blunted, the lack of explanation. I thought of the movie screens that appeared and vanished, the silent films, the mannequin with no face. I thought of my room, the uncanny plainness of it, the nowhereness, conceived and designed as such, and the rooms like it, maybe five hundred or a thousand, and the idea made me feel again that I was dwindling into indistinctness. And the dead, or maybe dead, or whatever they were, the cryogenic dead, upright in their capsules. This was art in itself, nowhere else but here. PS – Zero K is currently being adapted for an FX series. It seems simply impossible to do this book justice on a screen, and not only because the prose is such an important factor. Nevertheless, the fact that Scott Ruding and Noah Hawley are producing it does provide a glimmer of hope. Ruding was responsible for films like Moonrise Kingdom, There Will Be Blood, No Country For Old Man and Moneyball, and Hawley created the excellent Fargo series. This entry was posted in Reviews and tagged 2010s, Don DeLillo, Non-SFF fiction, Postmodern Fiction, Review, Science Fiction, Zero K. Bookmark the permalink.